Biogen has given investors a pleasant surprise with better-than-expected profits in Q3, but has puzzled analysts with a rapid slowdown for its new rare disease drug Spinraza. Revenues were up 4% or 13% when excluding haemophilia sales from the now spun-off Bioverativ and earnings per share rose strongly by 23% thanks to lower royalty payments and operating costs. Its biggest selling product, multiple sclerosis treatment Tecfidra is expected to lose ground to a new competitor, Roche’s Ocrevus, and declined slightly over the three month period to $1.06 billion. Spinraza is its new high cost rare disease treatment for spinal muscular atrophy, and is expected to help compensate in part for Tecfidera’s anticipated decline. It is forecast to generate peak sales of up to $2.5 billion, driven by its hefty US list price of $750,000 for the first year, and $375,000 every year thereafter. However while Spinraza had a very strong launch in the first half of 2017, its US sales faltered in Q3 to $197.6 million, barely above the $194.8 million achieve in the previous quarter. These flat sales puzzled analysts on a call with Biogen’s leadership team, especially as they claimed that there had been a 75% increase in patients since the last quarter. Biogen’s chief executive Michel Vounatsos and his top team weren’t willing to disclose all their sales data, but reassured that growth would continue. However they said that in the near term the fastest growth would come from outside the US, including early launch markets of Germany and Turkey. Meanwhile Biogen has one of the most keenly anticipated drug candidates in its pipeline, early Alzheimer’s treatment aducanumab. The firm has just renegotiated its deal with Neurimmune, the company which discovered the compound – Biogen has cut the potential royalty payment on any future sales of aducanumab to its partner by 15%. In exchange, Biogen will make a one-time $150 million payment to Neurimmune. This suggests Biogen is increasingly confident about the drug’s chance of being the first new Alzheimer’s treatment to gain approval, after decades of late-stage failures across the industry. Meanwhile Eisai has just opted in to a global co-marketing deal, should the drug reach the market. 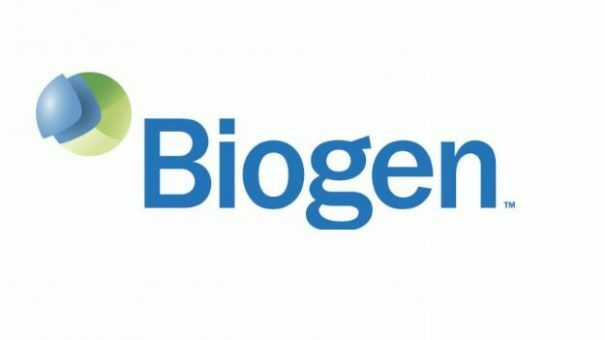 This agreement will see Biogen receive 55% of potential profits in the US, 68.5% in Europe, and 20% in Japan. Preliminary results from the drug’s phase 3 trials won’t be ready until November 2019. However the companies have been encouraged by promising signs from a phase 1b study, which suggested the drug was having an impact on amyloid plaque formation and slowing clinical decline in patients. The company has also during the Q3 period initiated new trials in Alzheimer’s disease and epilepsy and completing enrollment of studies in stroke and Parkinson’s disease. 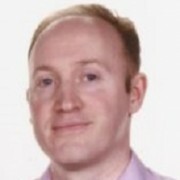 A number of major readouts from its neuroscience pipeline are expected over the next 12-18 months, including: aducanumab (BAN2401) in Alzheimer’s disease; natalizumab in stroke; BIIB067 for ALS; BIIB074 for painful lumbosacral radiculopathy; BIIB054 in Parkinson’s; and its gene therapy programme for XLRS, a rare genetic eye condition causing blindness.